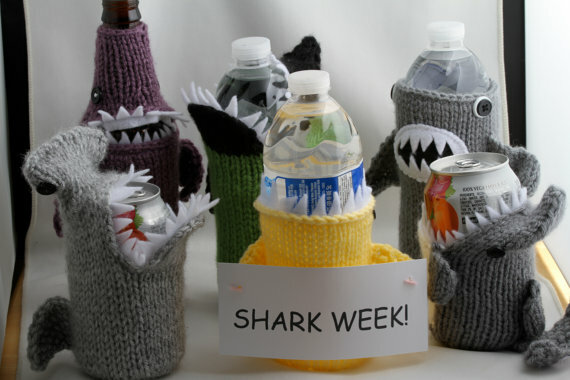 I’m a big believer in the fact that you should celebrate every week like it’s Shark Week. But for those of you that only want to wait for that special week, it’s that week we’ve all been waiting for. Starting on August 4th, the Discovery Channel proclaims its undying love of science and its glorification of violent sea creatures through a week long focus on Sharks. From shows about the ancient Meglodon (that has created QUITE the controversy), to others focusing on the creatures in their element, Shark Week gives viewers the insight into the unknown. 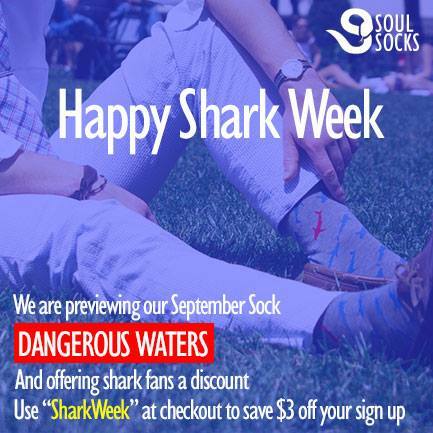 For those of you out there who want to celebrate Shark Week, I’ve complied a list of fashionable items that celebrate our finned fellow at it’s finest (say that 4 times fast). 1. 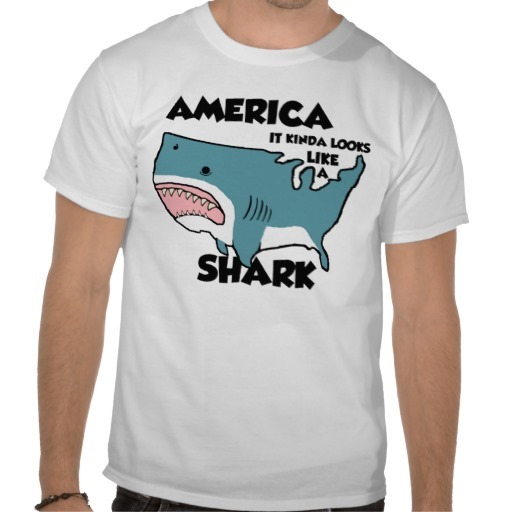 “America is a Shark” T-Shirt. It’s ridiculous, it’s fun, and gets the point across. I love the idea behind Soul Socks. Similar to companies like Birch Box, sign up for a monthly membership and receive a new pair of preppy and fun socks every month. A portion of the proceeds go to charity as well. Go get a pair you philanthropist you. You know that murky waters and horror movies do not end well for any party..unless you’re the murderous creature of course. Retro Planet’s “Shark Attack” Mug gives you the same feeling, but on a minor scale. Sip your hot beverage, but beware once you get to the bottom…Jaws is waiting. 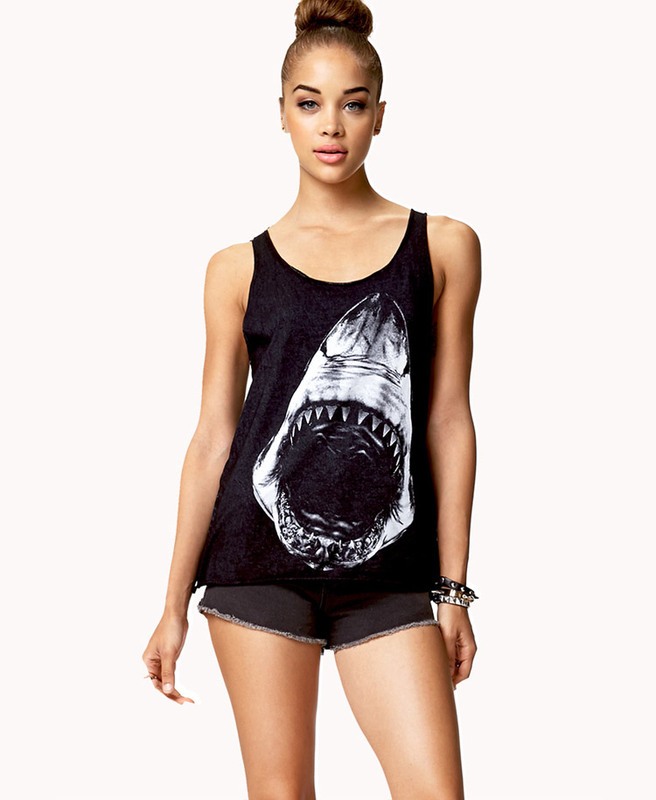 Forever 21 has a series of printed tanks and shirts that all give proper homage to Sharks. Pair this tank with a pair of skinnies or white shorts for a killer look (pun intended). This Brooklyn company designs fun and preppy ties right out of Brooklyn. 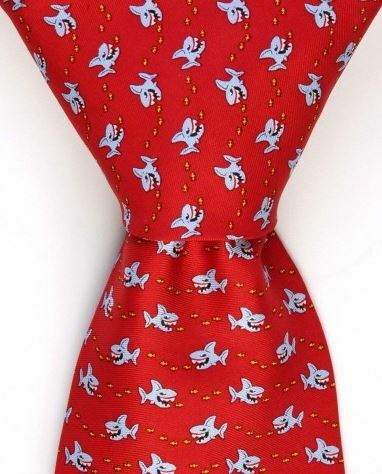 The Shark print is subtle and fun, so you can wear it all year round. 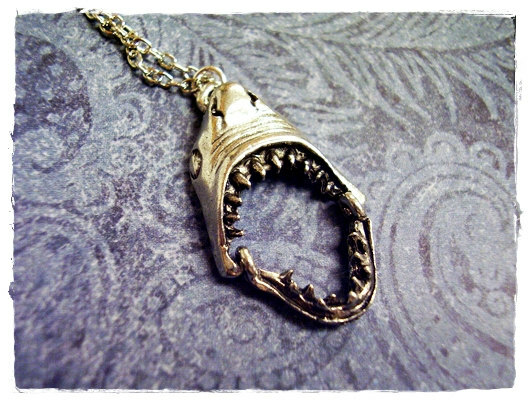 Shark Jaws (moveable) Charm Necklace in Antique Pewter is a subtle yet fun fashion piece. It’s adds a little bit of “fierce” to any wardrobe. LittleAtoms’ Tank is cute, loose fitting, and gets the point across. 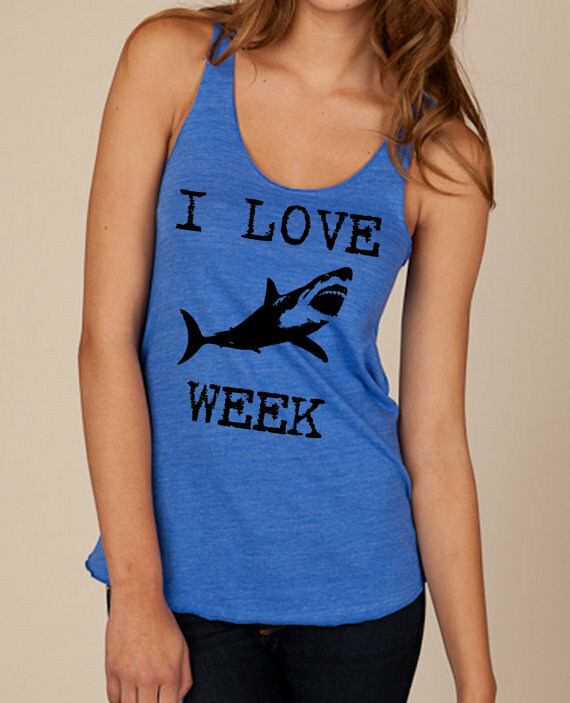 Yes, we love Shark Week too. I just can’t even. Coozie? Adorable Sharks? Thank you HandaMade, I’m in.